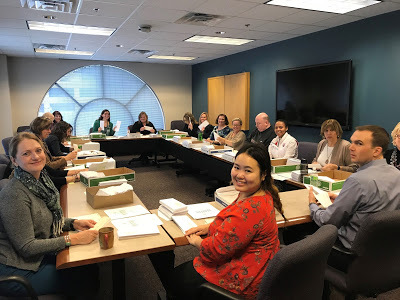 For the past two years, the League of Minnesota Cities Insurance Trust (LMCIT) has partnered with Fairview Hospitals to sponsor Mental Health First Aid classes. The day-long course is a national curriculum aimed at giving attendees the background and basic skills to assist people in a mental health crisis. The class size is kept small to encourage interaction and discussion—and the instructors from the Fairview staff are great. The first year we sponsored the classes, we limited enrollment to law enforcement officers. Last year we opened the classes to any city employee, which made for a broader discussion and fostered team building within the city staff. Eagan Police Officer Joe Moseng attended one of these classes and had the opportunity to use what he learned in one of the sessions shortly thereafter. Click here to watch “Joe’s story” (a powerful 2-minute clip). 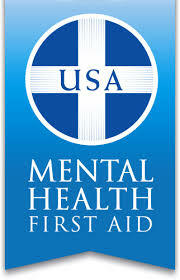 We hope we will be able to sponsor additional classes this fall. The courses have been certified for police officer POST credits and may meet the proposed learning objectives for the new required Crisis Intervention and Mental Illness Crisis training. Watch our website for the class announcements. help stuff dividend envelopes every year. Cities around Minnesota recently received checks in the mail from the League of Minnesota Cities Insurance Trust (LMCIT). In total, the checks represented $6 million in dividends from LMCIT’s recent fiscal year. The checks represent a couple things. First, they signify a way of doing business where membership is rewarded when losses are below the expected level, and the potential “profits” are returned to members. It’s like being a member in a co-op. The dividends also signify a good year for LMCIT’s property/casualty fund. That is the fund that covers everything from property claims to liability to all the things that happen involving the cars and trucks that are owned by membership cities. Laura Honeck, the LMCIT operations manager, agreed to answer a few questions about the dividend. Q. Are you able to attribute the surplus in the property/casualty program to anything in particular? In 2016, LMCIT could return the largest dividend in its history because of favorable loss development, but it also released some money it had reserved for claims related to the Drivers’ Privacy Protection Act (DPPA). LMCIT received some favorable court decisions on these claims, and therefore could release some of the contingency it had set aside for the uncertain outcome on these claims. For 2017, the Board of Trustees once again looked at members’ losses (property, police liability, employment liability, and auto physical damage claims were higher than average) and other financial measures, and they determined $6 million could be returned while remaining fiscally responsible to pay members’ future claims and losses. Q. What was the smallest and largest dividend in this mailing? A. The smallest dividend check was made out for $7 to a small joint powers alliance. The largest dividend was sent to one of our largest cities, in the amount of $80,837. Q. How many dividend checks did we send out? A. A total of 1,192 dividend checks were mailed! Q. What else would you like us to know? A. The goal of LMCIT is to manage risk—in other words, uncertainty. While LMCIT can’t always guarantee future dividends, members should be proud of their success in controlling losses during 2017. LMCIT’s hope is that loss development for prior years is better than expected as time goes on, just as it hopes losses for the coming year are better than expected, both of which would potentially allow LMCIT to return larger dividends to members in future years.